Whether you are looking to buy or sell a South Charlotte NC home, I guarantee that YOUR needs will come first and I won't stop working until you have achieved your real estate goals! Let's GO! I am a full-time Realtor specializing in listing and selling properties in South Charlotte, NC, which includes the Providence area, Ballantyne, Southpark, Carmel Country Club, Arboretum area, Myers Park, Dilworth, CotswoldMatthews, and Pineville. I also have extensive knowledge of neighboring Union County, including Marvin, Weddington, Waxhaw and Indian Trail. I am also licensed in South Carolina, and list and sell properties in Fort Mill and Indian Land - just minutes away from Charlotte! I ventured into real estate because I love meeting people, solving problems, and viewing all the different home styles that can be found in South Charlotte! Whether it's putting together a creative and extensive marketing plan for my sellers, or exploring all of Charlotte's wonderful neighborhoods and searching for the perfect home or neighborhood with my buyers, I am thrilled to help friends and families move into new homes and start a new chapter in their lives in our wonderful city. Comprehensive Comparative Market Analysis (CMA) so that you can make an informed decision on pricing hour home so that it will sell for the most amount of money in the shortest period possible in your neighborhood market. Staging! A clean, uncluttered and properly staged home will allow buyers to see themselves in the home and make that emotional connection that leads to a purchase decision. In today's market, homes must be staged to stand out among the competition! An extensive marketing campaign, including a far-reaching Internet presence to tap into the 90% of buyers who begin their home search online. Professional quality photos of your home, yard, neighborhood, pool, schools, shopping/dining areas. Buyers are looking to buy more than a house - they are also buying a lifestyle! A beautiful virtual tour that is uploaded to the MLS and dozens of websites. Incredible property brochures with information on the home, the property, schools, shopping floorplan, etc. High-quality flyers for the information box in your yard. Coordinate your pre-inspection if you choose it - this helps reduce surprises during negotiations and ensures that any repairs are made on YOUR time with YOUR repairman. Contacts with realtors who listed/sold in your neighborhood. Open Houses, with other Realtors and with the general public, with your permission. Marketing to neighborhoods in your area that would consider your home a "move up." Strong and fair negotiations to help you get the best possible price and terms. Transaction management from offer to closing, including inspections, appraisal, and coordinating with the closing attorney. Regular communication and market updates to keep you apprised of your "market standing." Consultation to determine your "needs" and "wants" and to make sure you understand agency and the process of buying a home in North Carolina. Personal website for you to check new listings that meet your search criteria. Assistance finding a lender who can determine your purchasing power and get you "pre-approved" to make you a more competitive buyer. Information on neighborhood amenities, schools, and shopping and recreation in your targeted neighborhoods. When time allows, I will preview listings to determine if they meet your criteria and would be a good fit. For out-of-towners, I will preview homes and send pictures or videos - I'll be your "eyes on the ground." Comprehensive comparative market analysis on any home/neighborhood you are considering to help you determine a fair offering price. Inspections - I attend all inspections to make sure that my buyers understand the maintenance and repair needs of the home. Mortgage process - I am involved in ensuring that your loan application moves forward so that you can close on time, which greatly reduces your stress load! Transaction management through closing and beyond - I work closely with your closing attorney to ensure that all necessary documents are obtained prior to closing. Listing homes for sale and marketing them to reach the broadest pool of qualified buyers. First-time home buyers - so exciting! "Move-up buyers" looking for more space, acreage, different neighborhood, etc. New construction - make sure you have an agent who is working for YOU and not the builder! Don't see what you're looking for in this list? Call me and we'll determine how I can help you! Melissa did a great job - always did her best to make the best out of any situation or circumstance. Our transaction was quite complicated, and Melissa handled everything beautifully. Melissa is a FABULOUS Realtor! She stayed with us through our search for a VERY specific home in one particular neighborhood and did an outstanding job in meeting all of our needs. She spent a considerable amount of time and effort to get us the perfect home. Our search lasted over 9 months, and Melissa was always there to answer any question, anytime. Now she is getting ready to list a home we have for sale. Great job! Kudos to Melissa! Melissa Brown went above and beyond. She is extraordinary! We met her when we bought our first house, and the experience was so awesome we hired her when a new job forced us to have to sell our home. Her attention to detail in getting our house ready to go on the market truly made the difference, as our house sold for almost full price in 5 days! I trust Melissa completely because she is honest and fair. We love Melissa Brown! 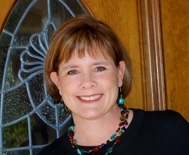 Melissa Brown is the epitome of what a quality, personal, professional realtor should be. By the end of the process, Melissa was more than a "realtor" to us–she was/is a friend. She helped us find exactly what we were looking for, was patient with us, was excited when we were excited and disappointed when we were disappointed. In the end, she helped us find a better house than we anticipated finding and I look forward to recommending her to others and using her again the next time we need a realtor. Melissa, thank you for all the wise counsel and committed service you shared with us the whole way through. God truly blessed us through having you as our Realtor, and we pray He continues to use you mightily to bless others similarly…you are much more than a Realtor to us! No question that we will use Melissa Brown for our next home purchase. I have her contact info stored permanently if anyone I know is looking for a home. This girl is AWESOME!!! Melissa was a fantastic Realtor to work with! Despite our lengthy and difficult purchase of a short sale, Melissa stayed on top of everything and constantly offered us advice and suggestions. We thoroughly enjoyed working with her and HIGHLY recommend her to anyone looking to buy or sell. We have bought and sold a ton of real estate, and we can honestly say that Melissa Brown is the best real estate agent we have ever used. She exceeded every expectation we had, both when we were buying our Charlotte home and when we sold it two years later. She is incredibly knowledgeable about the market and has exceptional customer service. Melissa is a true partner! Melissa was fantastic. I am very hard to please and very detail-oriented, and Melissa exceeded my expectations on every level. I did a lot of research prior to contacting Melissa, and the service she offered far exceeded that of many agents. I was very happy with the various tools she used for marketing, especially where I was able to view daily and/or weekly results of web traffic and showing feedback. She helped us sell our home so we could move on with our lives in SC. Melissa was WONDERFUL! She really knows the South Charlotte area, and we felt that she was the most knowledgeable agent we spoke with. She responded to every question or issue quickly, and we were confident in her abilities throughout every step of the purchase process. My wife and I relocated to Charlotte from California, and we were extremely satisfied with the overall service of Melissa! I would not hesitate to user her again and will definitely recommend her to anyone looking for an agent in the area. Melissa helped me sell my house during a time when many other houses are sitting on the market for extended periods. Considering that I was able to sell my house within 3 months of putting it on the market, during the slow part of the year (closed in December), while experiencing a weak economy, for a price that was slightly higher than the 2005 purchase price (during the peak real estate bubble), I believe the results say all that needs to be said about Melissa. From eye-catching marketing, to tasteful staging, to sage advice about pricing and negotiation, Melissa did everything that was necessary to allow a relatively "easy" home sale. For any prospective home sellers or buyers in the Charlotte area, I whole-heartedly recommend Melissa Brown as an agent who knows the local market. Plus, she's a wonderful, friendly person to deal with, who actually makes the emotional process feel less stressful. Melissa is extraordinary! She helped me sell my house during this difficult market AND find a new house! The amount of time Melissa spent helping me was invaluable; she helped me understand that in order to be successful in selling my home, it needed to be marketed like a product. She was able to show me how to look at my house through a prospective buyer’s eyes, and helped me stage my home so that it was welcoming and appealing. Because of Melissa’s attention to detail and staging, the pictures that she took to display the house on the internet were amazing. The response was above and beyond my expectations, and she closed my house in just 45 days! I was so impressed with Melissa’s professionalism AFTER the contract was signed. She was there at all the inspections, checking everyone else’s work, catching mistakes and getting good quality people to work on the sale. Because Melissa was so thorough, I had the luxury of being able to focus on packing the house and starting my life in my new house. Melissa truly helped me move on with my life. I felt like I had a partner, someone who was looking out for me, during the process. Melissa’s dedication and big heart are what make her the successful realtor she is. Melissa was an absolute pleasure to work with! She is extremely knowledgeable about all aspects of the real estate market, from staging a house to comparable pricing in the neighbourhood. She is very professional and especially articulate in dealing with the often inexperienced and uninformed sellers (myself included! ), whom I’m sure make her job more difficult than necessary. I knew nothing about the pre-listing requisites of de-cluttering and staging and my only advice to others is to listen to your agent as she knows best, not yourself. Why on earth wouldn’t buyers want to look at my endless array of family photographs and trinkets, I asked myself, and marvel at the un-matching furniture that was in the house at the time, of which most and other items were completely displaced. Our house must have looked similar to a junkyard pre-Melissa and a beautiful up-market and contemporary, sellable house, post-Melissa. Melissa’s staging advice was a huge factor in starting the ball rolling with regard to listing the house and getting traffic in the door, along with her excellent photographic skills. During the listing period, I whined and complained about the various agents and their buyers not being serious, the inconvenient showing times and all my efforts to keep the house spotless for nothing, and all the while Melissa kept her composure and patience and really, I could not have done without her, she is so affable and can work people so well, and I sincerely thank her for her endless advice on house improvements, both inside and out; she sold our house, not us.